Healthy breadfruit is a wonder food, which has lumpy green flesh and potato kind of structure. It is more used in Pacific Islands and activists encouraging people to plant trees in countries with poor food security. Approximately three kg breadfruit can provide the carbohydrate portion of a meal for a family of six person. 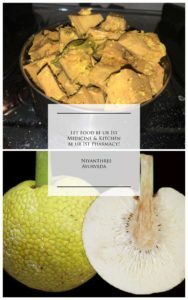 Breadfruit is very rich in Vitamins & is a good source of carbohydrate and protein, and the protein in the fruit has a higher proportion of amino acids than soy. Breadfruit can be eaten fresh as well as can be cooked, steamed, roasted and fried. Research says, that cooking breadfruit and its flour reduced its moisture content, which was in fact beneficial, because reduction in the moisture content reduces the microbial growth. Thus, the shelf life is improved. Increasing the cooking time also increases the content of resistant starch in breadfruit and it is good for individuals with diabetes, as it delays spike in the blood sugar levels. Cooking breadfruit also increases its overall energy content. This energy-dense fruit is very beneficial for children and adults which will under nourish and underweight. It provides satiety and combats hunger. 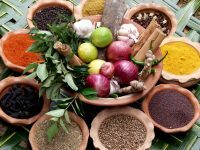 Thus, it can even be vital for individuals with tuberculosis, HIV and cancer, who are usually undernourished and need such energy-dense foods to fight diseases. The mineral content of breadfruit improved with cooking. Such increase was due to the effect of heat. This heat further degraded some anti-nutrients and thus, more minerals were available. Potassium is a predominant mineral, which is present in breadfruit in abundance. The overall content of potassium increases after cooking the breadfruit. Thus, it would be more beneficial for individuals with hypertension if they consume breadfruit in the cooked form. The content of calcium and magnesium increases when cooking breadfruit for 10 to 15 minutes, but when you cook for more than 20 minutes, the levels of calcium and magnesium will reduce significantly. The effect of fermentation observed on breadfruit flour. 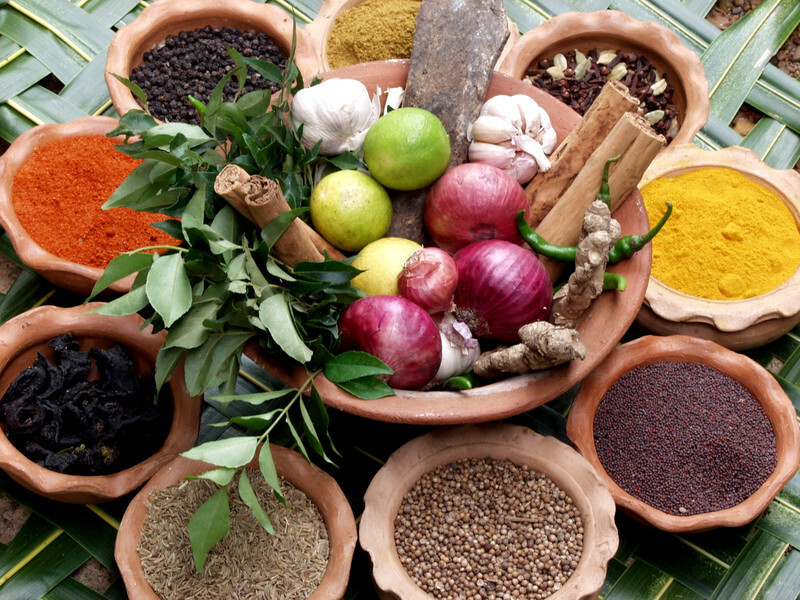 It was found that the content of minerals in non-fermented breadfruit flour was higher as compared to fermented flour. However, magnesium content remained the same even after fermentation. There are many ways to cook and eat healthy breadfruit. Also we should store the cooked and raw fruit in the proper way. A fully ripe breadfruit will store at room temperature for 3 days. After 3 days, breadfruit pulp becomes very soft. Therefore, it is best to consume breadfruit within 3 days if you want to eat it fresh. You can also store a mature breadfruit in the refrigerator. The outer skin will turn brown in color but the inner flesh will remain firm. If you want to store the fruit for more days, you can keep the fruit submerged in cool water. You can store cooked breadfruit in the freezer for a longer period. Cool the cooked breadfruit slices. Place these slices in a plastic bag or Ziploc bag and store it in the freezer. To steam breadfruit, first remove its outer covering. Cut it into lengthwise slices and steam it until the flesh is tender. You can deep-fry or pan-fry the breadfruits just like potatoes. Blanch the fruit before peeling, as blanching helps to loosen the outer skin. Baking gives breadfruit a roasted-nutty flavor. You can cut the fruit into two halves, brush some oil and bake it until the flesh is tender. Alternatively, you can wrap the entire fruit with aluminum foil and bake it. 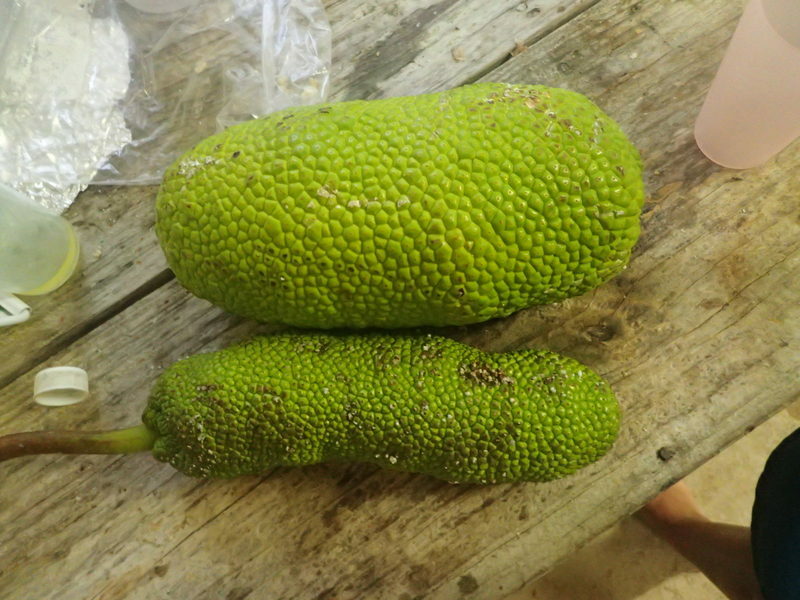 Breadfruit is a perfect ingredient for desserts, energy-bars, pastries, biscuits and cookies. You can use breadfruits instead of potatoes in stews, soups, curries, soups and patties.